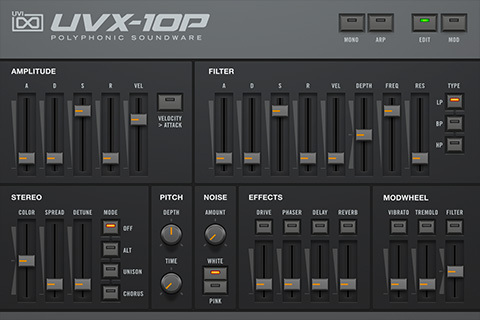 In 1985 the world was introduced to a Japanese 12-voice, 24-oscillator analog synthesizer par excellence and the last true analog synth of its lineage. Fashioned with a sparse aesthetic, a lack of knobs made the system a bit of a chore to program but an external controller could be attached, cheerfully reuniting synthesists with the immediacy and rapid programming speed of its ever-popular sibling lines. 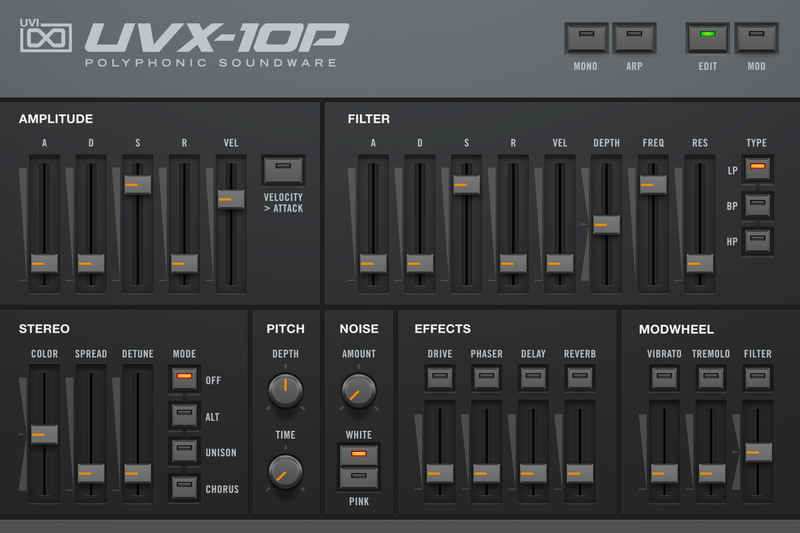 This synth is known for an immense and capable analog sound, even some digital textures; it's simply a magnificent machine. Programming capabilities were equally rich with independent control of 2 DCOs per voice, 2 EGs, 2 VCFs, onboard chorus and even a sequencer (albeit a limited one). 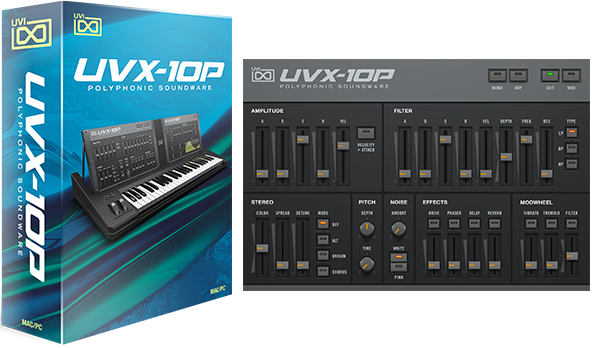 UVX-10P was designed to deliver on all of the strengths of this iconic Japanese series with none of the weaknesses. 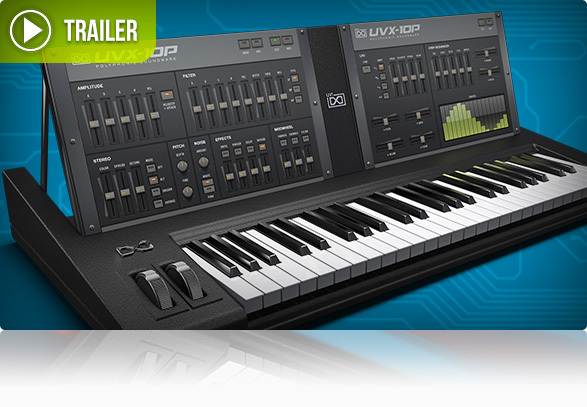 We used three of these pristine analog super-synths and set off, tirelessly programming and sampling these beauties in high-resolution through a world-class signal chain. 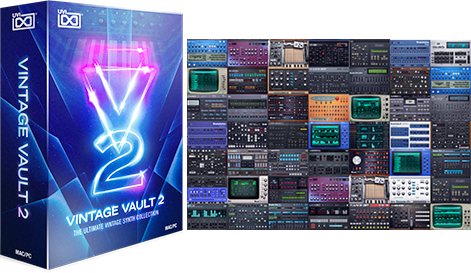 As with the UVX-3P we made every sample twice, with and without the built-in chorus, providing an authentic and versatile foundation. 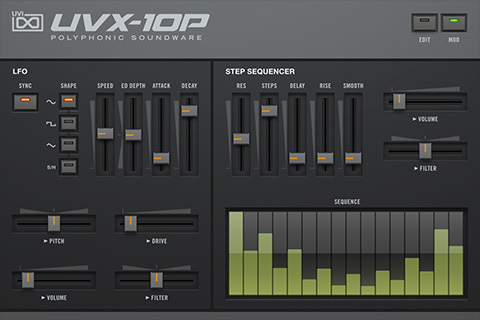 This sonic backbone paired with the UVI Engine results in a lush and extravagant analog sound; faithful to the hardware with a modern studio bite. 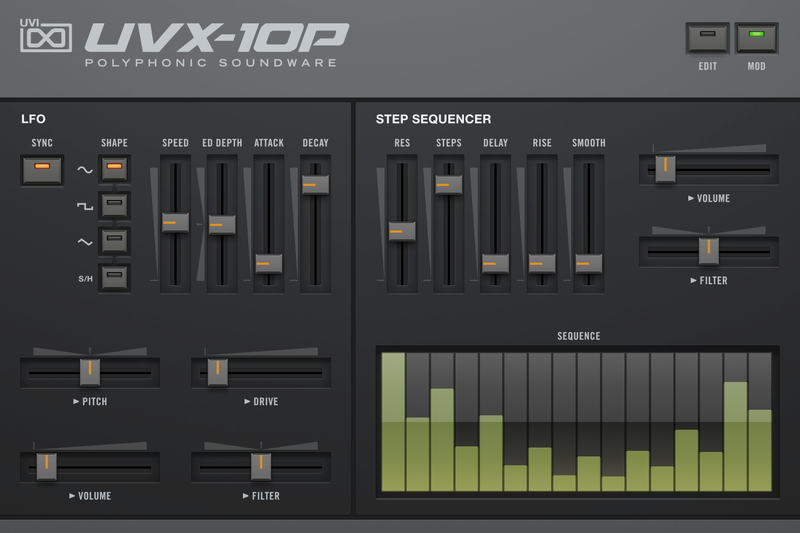 UVX-10P delivers a fully-featured and fully-programmable interface sporting ADSR control of our high-quality amp and multimode filter designs, multiple effects, LFO and step modulator, a tediously crafted library of 150+ patches and even original wave samples for you to create your own programs with.